We offer a complete 7-week course, as well as weekend mini-classes for specific animals. Students may tape record or videotape classes for future reference, if they wish, but are responsible for bringing their own equipment to do so. Classes for the complete course will run Monday through Friday, beginning promptly at 8:00 AM. Students are expected to be in the studio and prepared to begin on time. Classes allow for 15-minute morning and afternoon breaks and 30 minutes for lunch. Classes will break for the day by 6:00 PM. · Learn the proper way to soft tan furs Students taking 7 week class will recieve this training starting summer of 2012. Everything is furnished for the class, including specimens and all supplies need to prepare and finish the piece. However, students are welcome to bring their own trophies to mount, if desired. Students will keep all the pieces they mount, which will provide them a good collection to display in their own studio. During the complete 7-week course, students will mount the categories listed below. Depending on availability, students will have some choices of specimens, unless the student has brought their own trophy to mount in that category. Students keep their tool kits and mounts, as well as receive a Certificate of Completion when they have successfully completed the course. 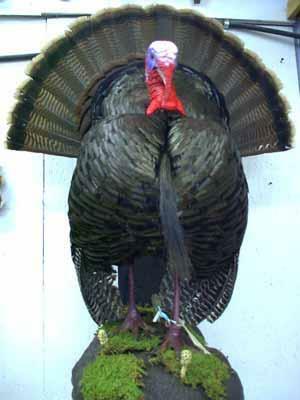 We also offer mini-classes for deerheads/gameheads, birds, fish, mammals, and turkeys. As with the 7-week complete course, all specimens and supplies (forms, eyes, paint, etc) are furnished with the cost of tuition and are the student's to keep. Students may bring their own trophies to mount, if desired. Students also receive a Certificate of Completion when they have successfully completed the section. As with the 7-week course, mini-classes are limited to four students in order to provide personalized instruction. Mini-classes are periodically scheduled around seasons and the 7-week courses; however arrangements may also be made to fit the student's schedule. While there is a maximum four students per session, there is no minimum. We also will negotiate special arrangements for those who must work on weekends, but have weekdays available - providing a 7-week full course is not in session. Mini-classes most often begin at 9:00 AM. Some days during the session may begin earlier or later depending on a majority vote by the students. Some of the days may be just a few hours, while others will be all day, depending on the tasks at hand (see the description for each category of class). We also offer by-the-day seminars for those who are already in the business and have not been previous students of Hutton Valley School of Taxidermy. The cost is $300 per day. 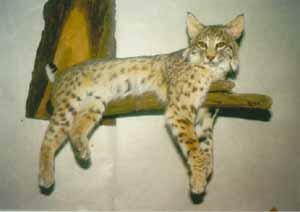 Contact the school to arrange sessions by the day on any aspect of Taxidermy for which you could benefit from extra hands-on, personalized instruction. These sessions will be devoted entirely to you - so you'll be expected to bring your questions, capes, racks, mounts - whatever you're working on - so we can together work through your problem areas. 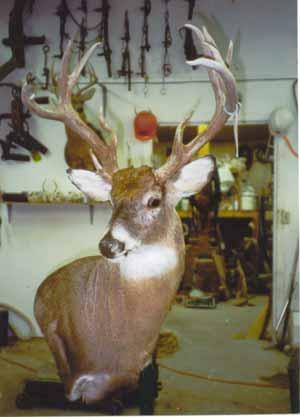 Students will mount a deerhead. For weekend classes, this session takes six days spread over four weekends or five days straight days behind weekends. Day 1: Skin; measure and order forms and other supplies; scrape; turn the ears, eyes, and lips; and salt. Approximately 5 to 6 hours. Day 2: Re-hydrate and pickle and Antler Repair. Approximately 4 to 5 hours. Day 3: Shave the cape. Approximately 2 to 3 hours. Day 4: Drum and prep cape for mounting and prepare the form. Approximately 2 to 3 hours. Day 5: Mount the deerhead. Approximately 5 to 7 hours. Day 6: Finish and paint their mount. Approximately 3 to 4 hours. 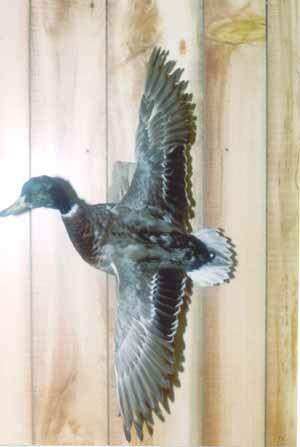 Students will mount either a duck or a pheasant. Weekend bird classes take three days spread over two weekends. Day 1: Skin, flesh and degrease; size the body. Approximately 5 to 7 hours. Day 2: Finish prepping and mount the bird. Approximately 5 to 7 hours. Day 3: Practice painting with an airbrush, then paint and finish the bird. Approximately three hours. Turkey classes take four days spread over two weekends. Day 1: Skin, flesh and degrease; size the body. Approximately 6 to 8 hours. Day 2: Prep form, tail, head and legs. Approximately 6 to 8 hours. Day 3: Mount turkey. Approximately 4 to 6 hours. Day 4: Practice painting with an airbrush and learn airbrush techniques; paint and finish the bird. Approximately 2 to 4 hours. 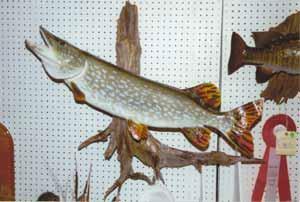 Students will mount three fish using three different techniques. Weekend fish classes take four days spread over two weekends. Day 1: Skin and flesh, as well as pattern and carve body for one fish. Approximately 6 to 8 hours. Day 2: Mount one fish on carved body, one on purchased body and one using fish fill method. Approximately 4 to 6 hours. Day 3: Set eyes, fill shrinkage, prepare fins, and prep fish for painting. Approximately 4 to 6 hours. Day 4: Practice with an airbrush and learn airbrush techniques; paint and finish the fish. Approximately 6 to 8 hours. Possible Day 5: 4 - 6 Hours. Students will learn to paint a reproduction fish, which will take two days. Day 1: Prep the fish. Approximately 4 to 6 hours. Day 2: Practice with an airbrush and learn airbrush techniques; paint and finish the fish. Approximately 5 to 7 hours. Students will mount one life-size mammal. Depending on availability, choices of specimens will likely be raccoon, fox, coyote, mink, pine martin, or squirrel. Mammal classes take five days spread over four weekends or five days straight. Day 1: Skin, flesh, and salt; measure and order forms and other supplies. Approximately 6 to 8 hours. Day 2: Re-hydrate and pickle. Approximately 1 to 2 hours. Day 3: Drum and prep cape for mounting and prepare the form. Approximately 2 to 4 hours. Day 4: Mount the mammal. Approximately 6 to 8 hours. Day 5: Practice with an airbrush and learn airbrush techniques; paint and finish the mount. Approximately 3 to 4 hours. Will accept up to six (6) students for this class only. Classes begin 9 AM. Learn to make snow, water, splash, dirt, rock, mushrooms, etc. and take your creations home to enhance your mounts. Tuition includes manual and supplies. Soft Tan Racoon and other skins. Classes begin 9 AM. 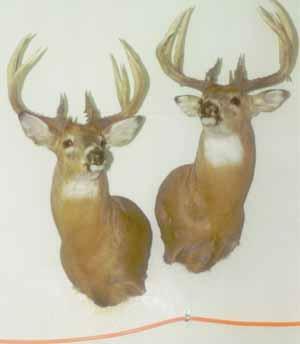 Learn hair-on soft tanning, including for deer capes. Students will prepare the skin for tanning, including degreasing, re-hydrating dried skins, pickling – the entire process. 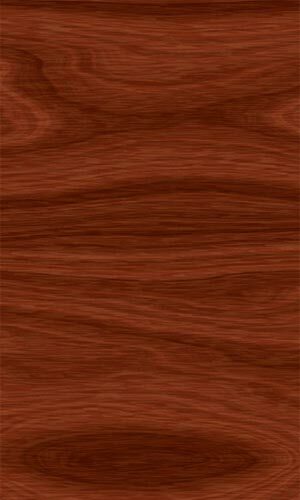 Covers needed equipment and chemicals to perform several methods of tanning. Students will tan several skins that they will take home to keep when finished. Up to 6 students will be accepted for this class only since there is a lot of dead time while skins are in process. 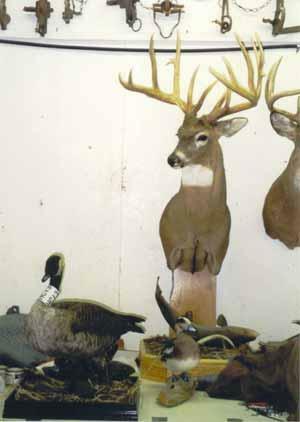 One-on-one or small group for specific needs in any aspect of taxidermy for as many days as needed to fill your needs. May be scheduled any time other than when regular classes are in session. Contact school for more details. 4-hour class taught by an NRA certified instructor. Students will learn to identify types and calibers of handguns, to identify bullets for the proper gun, to load and unload a gun, and to aim and fire a gun. All students will fire different types of handguns. Guns and ammo provided. Maximum 10 students accepted for this class.